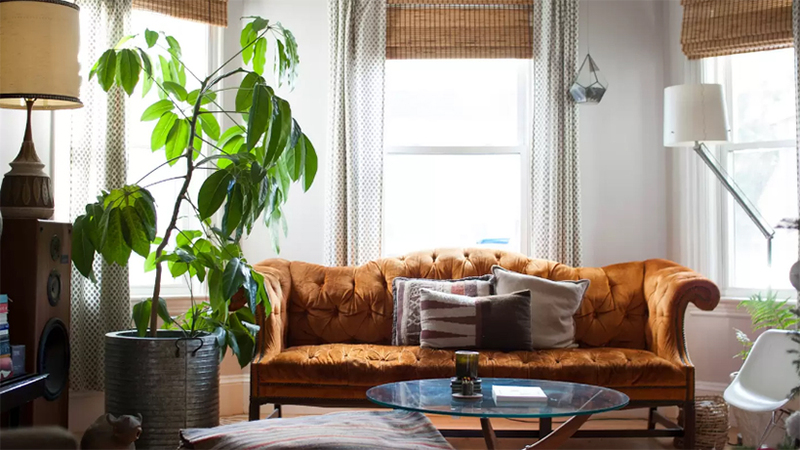 Good design and simple touches go a long way in attracting renters by making your space feel fresh and inviting - important qualities in a vacation rental. 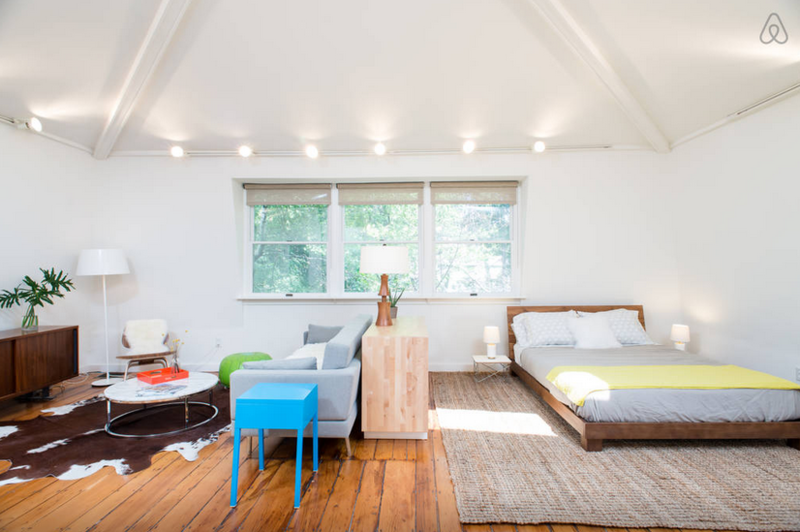 So here are a few elements to consider when you're designing your Airbnb space. First, it's important to figure out the best layout for each room. Start by narrowing down your target audience so you can gear your space's design toward their needs. Is it people traveling on business? Couples on vacation? Families? Once you've decided it's time to plan. Sketch a basic outline of each room and then lay out what would be useful where. Where can people entertain? Where can they eat? Are you going to include a workspace? Also, make sure you use novelties to your advantage. Do you have a fireplace or a cozy reading nook? A great view or porch? 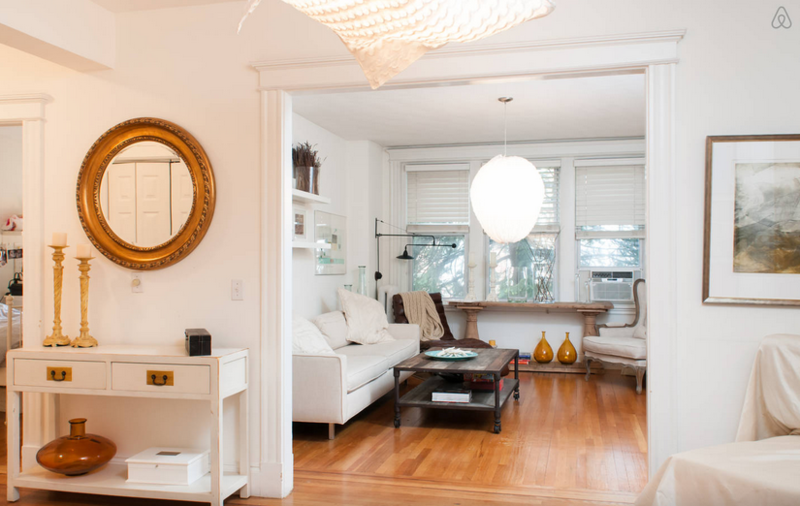 Make sure to optimize the seating and space around these features to draw the renters attention. Once you've decided where everything will go, it's time to measure. This may seem like a tedious step if you feel like you can just wing it but trust us, this step pays off. With measurements in hand, you ca shop for furniture and spare yourself the difficult return trip. Invest in pieces that are multifunctional and offer flexibility, especially in smaller spaces. To make sure you'll be able to keep the pieces for a long time, opt for sturdy fabrics that are somewhat stained resistant. Try cotton, polyester and other fabrics that can easily be washed. Use decor that cleaning friendly too, go for a reasonably priced piece that can be easily wiped down or dusted. It's usually good to keep your personal, meaningful or fragile items stored and out of harm's way. To save yourself the worry, it's always good to leave your guest's a house manual. This is your one-stop reference guide where you can put where to find toilet paper, paper towels and other household items, how things work, house policies, contact info, Wi-Fi password and any other special instructions. If its all in one place it saves time and headache for both your renters and yourself. As the host, it's your job to keep your guests as safe as possible. When they leave they should remember how comfortable they felt in your home, not the broken lock. It's important to put any disclaimers or special features in your listing such as "lots of stairs" or "charming tiny bathroom". If you're hosting a family with young children, keep hazardous items out of reach and if possible, in locked cabinets. Make sure there's a first aid kit handy and that you include practical home info such as fire escape routes and emergency contact numbers in your reference guide. Be mindful of any tripping hazard such as lamp cords, sharp coffee table corners, or rugs that have a tendency to lift. It can't hurt to invest in some rubber backings or pads for your carpets to make sure they don't slide. Provide sufficient lighting by the bed, on desks, and in the hallways so people aren't crashing into things at night. - A well-stocked bathroom, nobody wants to run out of toilet paper on vacation. - White bed linens and towels to create a chic, clean feel (plus they're easy to bleach). 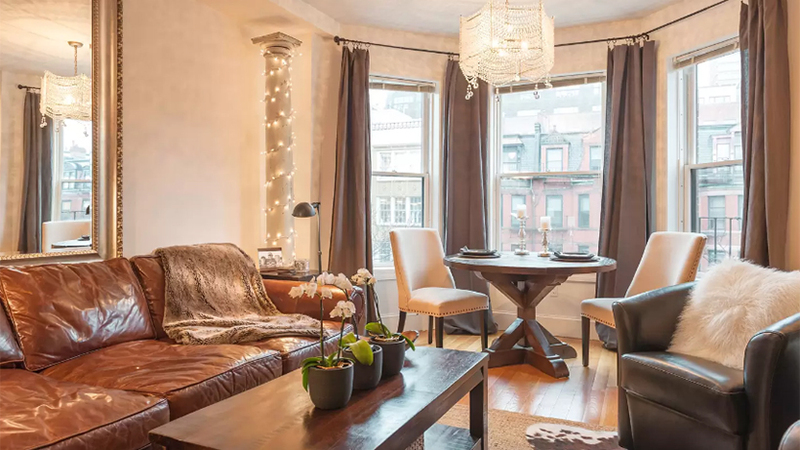 A big reason people choose short-term rentals over hotels is because they want to be immersed in where they are. Consider your location - city, beach ski? Incorporate that into your design. You don't have to go overboard, subtle touches here and there are all you need. 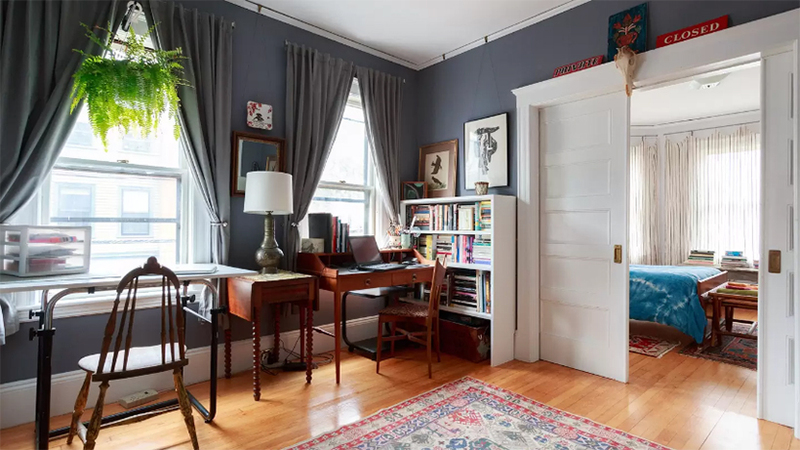 For example, for an Airbnb in Boston try a vintage map of the MBTA lines, an old crate from Haymarket or photographs of the city. If there's any local lore or unique amenities special to your area, be sure to include the in your reference guide so your guests can get the most our of their experience. 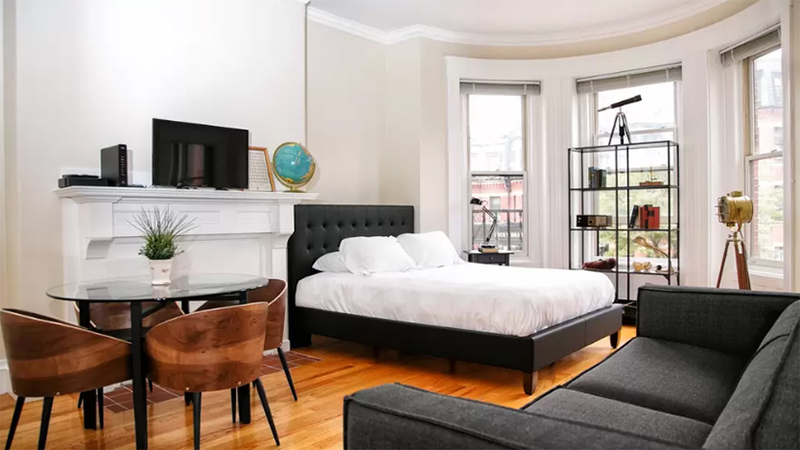 Are you looking for a property to turn into a short-term rental for Airbnb or something similar? Connect with one of our local experts today.